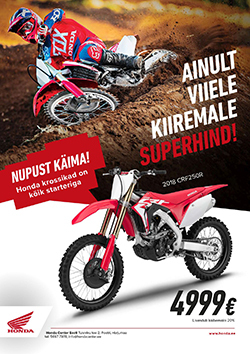 The trading company AS Tridens and the Estonian Motorcycling Federation have made an agreement that Tridens will continue as the name sponsor of the Estonaian Motocross Championship series in 2014. 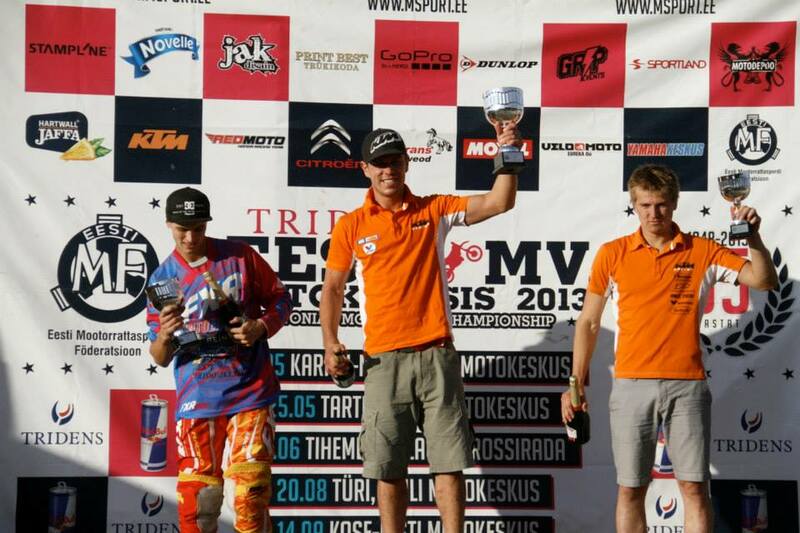 This is the tenth season for Tridens to sponsor the Estonian Motocross Championship. In 2014 as an innovation the prize fund for each championship round will be 4000 Euros. The money shall be awarded to the top riders of the classes 85cc, MX2Jun, MX2, MX1, Quad Open and Sidecars. May 10 TÜRI (Estonian Championship Classes: 85cc, MX2Jun, MX V (Veteran), MX1, MX2, Sidecars). Register here. May 11 TÜRI (Estonian Championship Classes: Quad 50, Quad 100/200, Quad Open, 50cc, 65cc, Mini MX; Estonian Cup Classes: Quad Hobby, Quad Amateur, Quad Veteran, Quad Jun). Register here. The name sponsor Tridens will continue to support the junior competition classes that wear the name of Hartwall Jaffa. The Champions of the classes 50 cc, 65 cc and 85 cc will receive a monetary prize from Hartwall Jaffa.